Exuding the artistic knack of our creative artisans, our range of stainless steel bottle opener comes in several stunning designs and shapes. 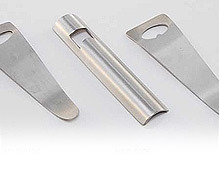 We provide these bottle openers maximum durability with the use of ace quality stainless steel in their construction. 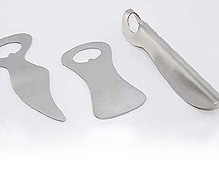 Long grip of these bottle openers offers the users full comfort while opening the bottles. Light in weight and easy to clean, these bottle openers have lasting shine with perfect polish. 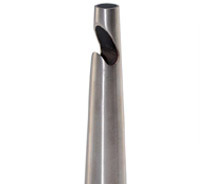 Bottle opener made of fine quality stainless steel for strength and durability. An ergonomic handle makes bottle opening a breeze. It's distinctive, durable, and dishwasher safe. This seashell bottle opener is made of stainless steel Easy to use with comfortable grip, this is perfect for small bottles. 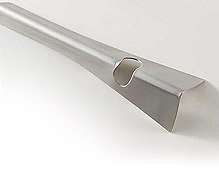 This curved bottle opener is ergonomically designed that makes bottle opening very easy. Made of stainless steel, this flat bottle cap opener is simple and uncomplicated in construction yet it offers ease of use making it a staple for every bar or restaurant.